The High Concept: Feats that allow characters to mitigate the effects of fear and benefit from successfully resisting fear effects. This is the latest in a series of products to celebrate the "Summer of Bullets" event! Centered Emotions: As long as you can call upon your ki, you are protected from fear. Consummate Professional: While you are focused on an opponent, you are protected from fear. Dauntless Fury: Your anger protects you from fear, and may even spur you on to more rage. Divine Courage: As long as you can feel the connection to your deity, you are protected from fear. Eldritch Courage: As long as you still have a spell memorized, you are protected from fear. 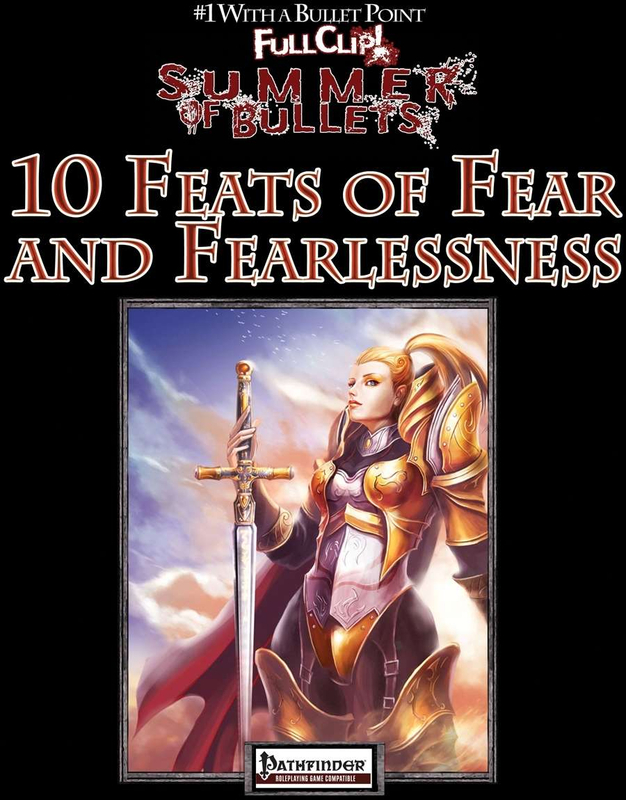 Fearless Familiarity: While you are within a favored terrain, you are protected from fear. Forbidding Form: You can take on a horrific aspect. Song in Your Heart: As long as you are still able to sing, you are protected from fear. Strong Foundation: You can grit your teeth and concentrate on the courage you possess to apply it against other mind-affecting abilities. Unshakable Bravery: The training you have received protects you from fear. This title was added to our catalog on August 17, 2012.